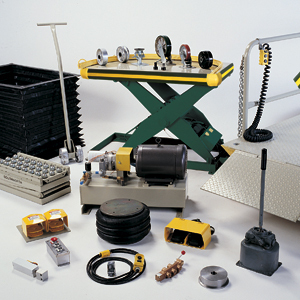 Southworth Parts are available for all lift tables and all other products manufactured by Southworth including hydraulic cylinders and valves, hydraulic pumps, motors, etc. Many items in factory stock available for quick shipment. To place an order or inquiry regarding price and availability of a particular part, the following information is requested to be included along with the desired part description. Part Description (found in Owner’s Manual provided with product). Note: Service on all Southworth products is available, inquire regarding availability in your area. For more information on Southworth Spare Parts and Service, please call us at 1-877-355-1511, or click on the Request Information/Quote button below.